What do the Honda Supercub, Intel’s 8088 processor, and hydraulic excavators have in common? In The Innovator’s Dilemma they are all examples of disruptive technologies that helped to redefine the competitive landscape of their respective markets. These products did not come about as the result of successful companies carrying out sound business practices in established markets. 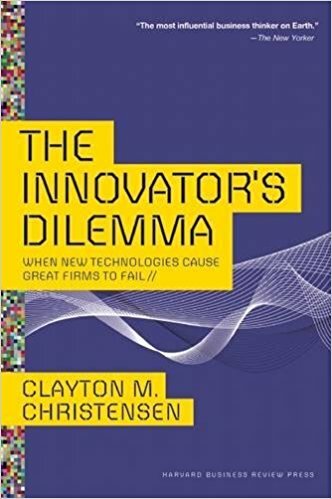 In The Innovator’s Dilemma, author Clayton M. Christensen shows how these and other products cut into the low end of the marketplace and eventually evolved to displace high-end competitors and their reigning technologies. At the heart of The Innovator’s Dilemma is how a successful company with established products keeps from being pushed aside by newer, cheaper products that will, over time, get better and become a serious threat. 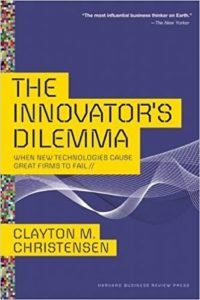 Christensen writes that even the best-managed companies, in spite of their attention to customers and continual investment in new technology, are susceptible to failure no matter what the industry, be it hard drives or consumer retailing. Succinct and clearly written. The Innovator’s Dilemma is an important book that belongs on every manager’s bookshelf.